Ken Carman is a BJCP judge; homebrewer since 1979, club member at Escambia Bay, Clarksville Carboys and Music City Homebrewers, who has been interviewing professional brewers all over the east coast for over 10 years. This edition of Brew Biz also appears as an edition of Inspection, another column by Ken Carman. This is by request of the author who feels this topic goes beyond beer. Can anyone tell me what’s good about the recent purchase of SBMiller by Bud’s owner, InBev? Context: I mean “good” for the consumer, beer lovers, beer world, healthy competition, less big corporate influence in politics, less corporate attempts to squash the multitude of small breweries, brewpubs, employees… not just “good for” management, corporately corrupted beer boards, CEOs or stockholders. Allowing even more dominance of any market by yet another mega corporation may be good for stockholders, pols who get their donations, political appointees on the take and CEOs, but it’s certainly not good for craft beer or, perhaps, even homebrewers. Government turning a blind eye, or even favoring, consolidation of corporate power rarely ends well, as citizens of Italy in the 30s might warn us. Luckily, and with determination, craft has survived, even thrived: despite serving laws, brewi9ng laws, laws banning growlers, mega going to distributors and threatening to drop them if the stock craft. This joining of two major companies just hands more influence over to mega brew. One might think homebrewers would be an exception, but not really. I mean the more bland, the more folks are driven to brew their own, right? It’s what drove me to drink… um, brewing. Yes, for years Miller and A/B have had their lawyers do all they can to not only limit distribution of craft beer, but buy off pols so they create small brewer unfriendly legislation. If my experience with their lawyers and distributors in New York State is any indication, homebrewers are a target too. Gee, ya’d think they think they “own all beer,” sometimes. Well, with mega brew and pols snuggling so close, maybe they kind of do? This is something I will expand on in a future column. But, conspiracy rants aside, I think the big losers would be the public and employees. 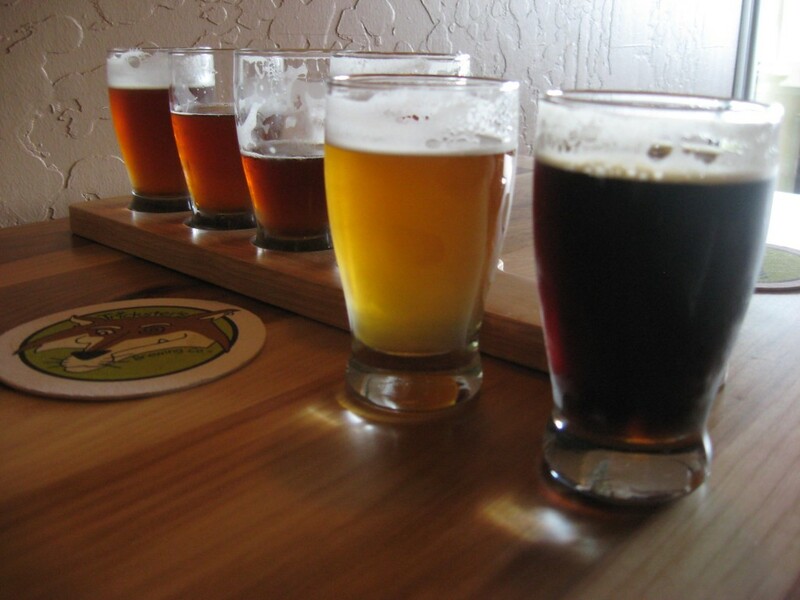 There will be more fake breweries, like The Plank Road Brewery, another name for Miller. Unless you have been real observant, you may not have noticed that a lot of the craft brew stocked over the years has been not craft at all. It’s been InBev and Miller creating fake breweries and, sometimes, not even listing anywhere on the packaging that it was actually brewed by InBev, or Miller. Do you really think there’s a Shocktop Brewery, or Blue Moon is a small, independent, craft brewery? If so, so sad. You’ve been conned. But that’s minor compared with the economic impact. Fools would think that this purchase would mean more employees. Untrue. It gives mega InBev a chance to consolidate breweries, terminate employees, enrich stockholders and give themselves giant raises for doing so. That’s not a “beer” thing, that’s just the nature of huge acquisitions and mergers. It certainly doesn’t mean better beer for anyone. It does give them more power, and more market share, and therefore a bigger club to use on true craft breweries. Whatever happened to our laws on monopolies? Well, so much of the public has been convinced that any regulations are bad, except those on abortion, voting… wait, isn’t all that regulating too? Yup. Sure is. But, disregarding all too politically convenient exceptions, and my slight sidebar there, the public has been convinced that regulations are all bad, and business will regulate itself. Can you think of any activity where humans automatically become saints? In this columnist’s humble opinion all, I repeat all, human activity requires rules. No system set up by humans is perfect. Not one damn one is “self regulating,” unless you mean “to serve the selfish, the greedy, criminals and those eager to commit con jobs. I did read that InBev is selling off a portion of the Coors portion of Miller to “appease regulators.” You do know they’ll just try to purchase it back at a later date, right? Or crush it? Why is it I think there will be a sea of invisible hands “raised” by shill-pols eager to help, while selling off more integrity.. what little they may have left? Some of these shenanigans remind me of Gannett who came into Tennessee and purchased the Nashville Banner, the lesser of our two major papers. The Tennessean, one of the the best papers I’d ever read at the time, was eventually traded for the Banner, and then the Banner quietly went out of business. My, how convenient. Nothing to see here, folks. Move along. Of course, ala’ all Gannett papers, ads were increased at least three fold, and news became something I read two to three weeks ago, or hardly news at all: puff pieces. Just like mega brew has longed to turn most beer back to unexciting, bland and all about “clever” marketing. You may have also noticed that mega beer has been snatching up craft beer breweries. For now, at least, they have let companies like Goose Island brew what they had been brewing. But anyone want to bet against my stand that once the war is over they’ll do what Miller did to Lowenbrau in the 70s and 80s? What was an excellent, proud, German, brand, became just a slight variation on Miller, and Miller Dark. Since then the brand has bounced around as to who brews it, whomever has the rights to North American production: with variable results. No, nothing good will come of this purchase if it’s allowed to stand. It will just give more power, and more money, over to those who would do anything to go back to the days when there was, basically, one American beer style with some slight variations. And this just gives them a bigger club to use to make sure American beer goes back to being as exciting, as interesting, as club soda. And, pulling the camera back to get a wider view, this is what America, even the world, will look like if corporatism wins the day, politically. Want to bet, somewhere in Hell, the ghost of Mussolini is smiling?